You may or may not know of this beautiful mama of soon to be three. If you are familiar, she most likely is one of your favorite daily reads. If you don't know her, its time you met! Inspiration comes out of the seams of this girl's blog. What I love most about Casey Wiegand is that she passionately shares what she loves in a successful and beautiful way. For instance, have you seen her art shop?? I am so thrilled to host this giveaway today for you IHOD readers. 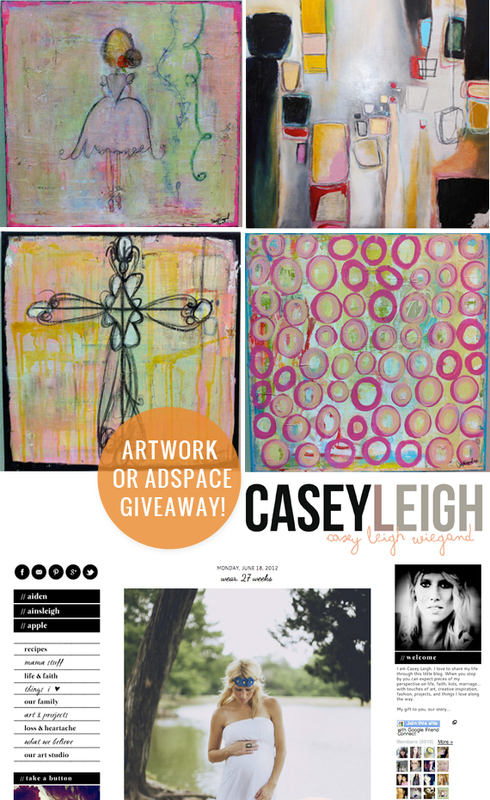 Casey is giving away any art piece of choice to the lucky winner OR a large ad space on her blog. We can't wait to pick a winner. Easy entries for all through rafflecopter below! Best of luck! Hi! Thanks for this giveaway. I love your blog and Casey's!! Wow, must have a closer look at her work, looks really pretty! Have a wonderful day! Agreed. I love Casey's blog. I'm real life friends with you and Casey in my head. True story.